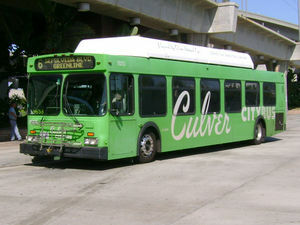 Culver City Bus provides local transit in the Culver City area. It connects with Santa Monica Big Blue Bus and LA Metro buses, as well as LA Metro Green Line light rail. This page was last edited on 24 March 2019, at 15:04.